If your loved one has experienced a stroke, you may be facing many months or years of recovery time. Depending on the severity of the stroke, your family member may experience temporary muscle weakness, paralysis of one side of the body, or difficulty speaking. These symptoms may resolve relatively quickly, or they may cause damage that affects the person for many years. As a caregiver, it’s important to understand how stroke may affect your family member’s needs while also acknowledging your own stresses and challenges. A stroke can be life-changing for every member of the family, and it helps to know what your options are regarding your mom or dad’s care. Reducing the risk of recurrence--About 25% of the strokes that happen in the United States represent a second stroke occurrence. Risk factors include smoking, high blood pressure, not taking medications as prescribed, high cholesterol, diabetes, and lack of exercise. Talk with your mom or dad’s doctor about how to help reduce these risk factors in the future. Physical therapy--Stroke may cause dizziness, difficulty balancing or walking, continued muscle weakness, and speech challenges that continue for weeks or months. Physical therapy can help your family member regain some or all of the mobility and function they had prior to the stroke. Fall prevention--The effects of stroke make falls a common occurrence. Look for ways to prevent falls by making alterations to the home environment and providing mobility assistance as needed. Time--People who have experienced a stroke recover at different rates. You may notice rapid gains in the first six months, and then much slower progress that may continue for a year or more following the stroke. Be patient and measure your loved one’s rehabilitation carefully to be sure recovery is progressing normally. 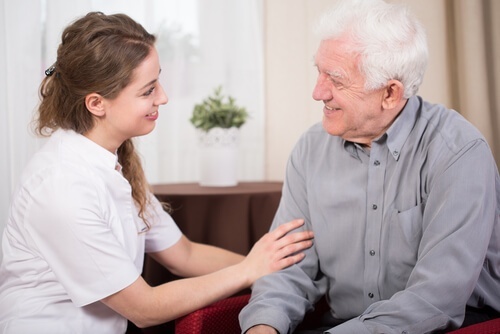 Emotional support--Stroke recovery is a frustrating and difficult time for your loved one, and many stroke sufferers experience periods of depression during the process. Watch for changes in behavior and mood, and talk with your doctor if you suspect your mom or dad may be suffering from depression. It’s also important to provide the emotional support they need as they face the challenges of recovery. Take care of yourself--As a caregiver, you will face many stresses and challenges during the stroke recovery process. Be sure to take time for self care and get support from family members and others who have been through the stroke recovery process. Join a support group--Support groups can be excellent sources of information, ideas, and emotional support as you care for your loved one after a stroke. The American Stroke Association maintains a list of stroke support groups in Ohio where you can meet others who have been through similar circumstances. As your family member recovers from stroke, he or she will need additional help to manage the physical and emotional challenges of rehabilitation. Medicare may cover some kinds of rehabilitation services, but availability will depend on individual circumstances. Your loved one’s insurance should also cover some medical services and therapies, so talk with your insurance provider to learn exactly how much coverage is available. 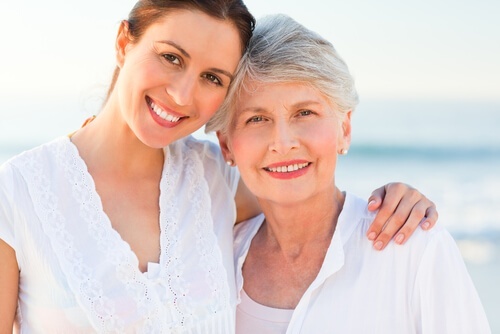 Don’t let stroke recovery become an overwhelming burden to your family. Prepare yourself with the information, resources, and support you need to help your loved one navigate the challenges of the rehabilitation process.